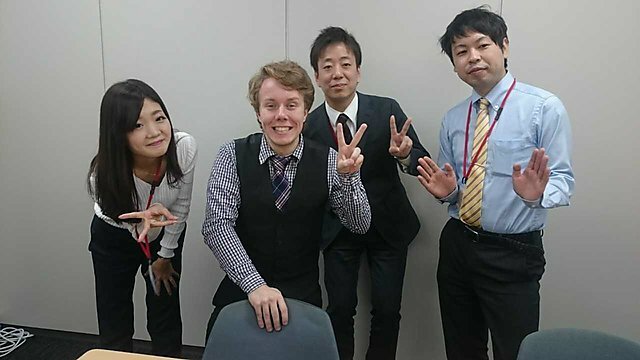 Bob Curtis graduated from BSc (Hons) Sociology in 2013 and currently works as a Business Skills Coach for Create Ltd. in Osaka, Japan. "Before studying at Plymouth I had very little career aspirations. I wasn't all too sure what to do or where to apply for work. It was only though my experiences and studies that I gained the inspiration to work abroad. My hometown is in Kent, and Plymouth being on the other side of the country meant that I had to learn how to be independent very quickly! On top of this, the kind nature of the lecturers at Plymouth gave me the drive and ambition to teach others. The best support service the University offers its students is the lecturers. They are valuable resources of information, but their true value comes from the support they give their students. If you have any issues, talk to your lecturers with confidence. They are human just like you and me, and will always offer a listening ear. Of course study is vital, however, the connections and contacts you make at university are just as important. The University offered a diverse range of study opportunities through their sociology programme. Being able to delve deeper into gender and cultural studies was a huge selling point for me. If it wasn't for studying about different cultures, I don't think I would have overcome "culture-shock" as quickly as I did when I moved to Japan. Plymouth prepared me for a wide array of challenges I have faced, and will face, in my career. It has given me the confidence and independence necessary to live and work in a different country, and has made me challenge social norms that I would otherwise take for granted. The University is centred in the heart of Plymouth, a city with a rich history and easy access. There's ample amounts of resources at your fingertips, so you can always find that book that is "crucial" to your studies without any trouble. With tons of societies to choose from and a friendly student council, you're always guaranteed to meet new people and make new friends. Plymouth is one of the best places to study in the UK and is a top choice for anyone who is looking for the best university experience." "After completing my studies, I had a short gap of unemployment (as is the brutal catch 22 of our generation) but was lucky enough to come across some administration work. 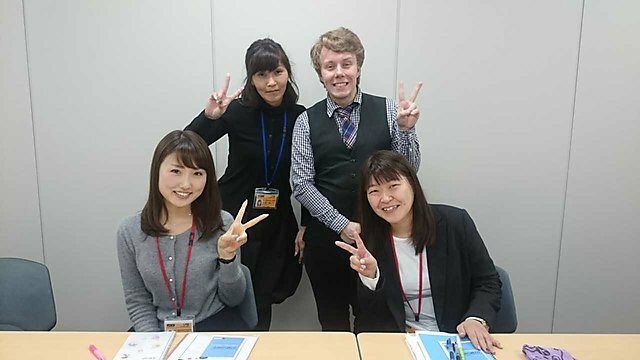 My dream had always been to move to Japan, so after various applications I was accepted by an 英会話 (Eikaiwa = English Conversation School) and so began my life in Japan. Coming here has been like a dream come true. After a year and a half of working as an English conversation teacher, I wanted to push myself even further and was given the opportunity to become a Business Skills Coach for Pharmaceutical companies, Clinical Research Organisations (CROs) and Electronic Component manufacturers. 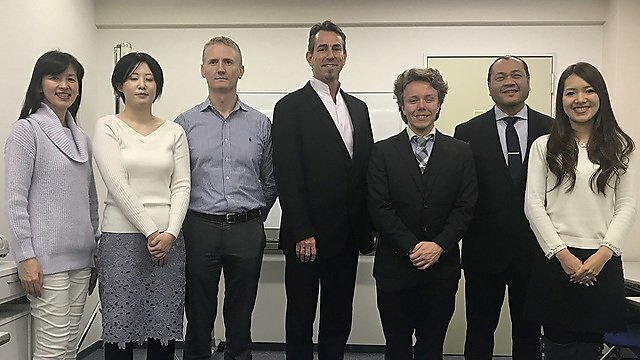 In terms of my career specifically, I feel the best and most exciting thing I have done is travel across Japan on business trips to help companies maintain strong relations with their western counterparts. It's rather exhilarating and always ends with a feeling of accomplishment when everything goes well. Life in Japan is amazing! Of course you are faced with daily challenges, such as trying to catch the train to places you've never heard of (or in most cases can't even read), or the occasional challenges like trying to get accommodation without Japanese guarantors (seriously difficult if you don't even know this is a thing). But none of these should ever deter you from the wonders Japan provides. Beautiful scenery, rich culture and history, lovely friendly people, and a level of politeness not seen anywhere else in the world. Every day in Japan provides a new experience and offers opportunities to learn about everything Japanese, from the language to the customs. My advice to anyone looking to work and live in Japan is to be prepared to accept the cultural differences. Too often foreigners I meet that start living here can't adapt quickly enough to how different the culture is. Be prepared for crowded trains, daily stares from locals, and convenience stores employees shouting いらしゃいません〜 (irashaimasen) when you walk through the door. Studying even just a little Japanese before you come here definitely pays off in the long run. Even if you can only say simple numbers and すみません (Sumimasen - excuse me), you'll be absolutely fine. Life here in Japan is wonderful, but be prepared for a challenge." Looking at life through a lens of inequality, difference and diversity, sociology at Plymouth brings real issues into sharp focus. Supported by a nationally renowned academic team, you’ll explore how topics such as health, media, crime and deviance, poverty, and gender shape our lives and experiences. You’ll develop key transferable skills that employers actively seek through a pioneering, well established, work-based learning programme and our international fieldtrip and exchange opportunities.